Flowblade is a free GPL3 multitrack non-linear video editor for Linux. It provides a film-style insert editing model and its main goal is to provide fast, precise and robust editing experience to linux users. Flowblade comes with 3 move tools and 3 trim tools and 4 methods to insert or overwrite the clips on the timeline. In timeline you can Drag’n’Drop clips. Clip and compositor parenting with other clips. here you can combine maximum 9 video and audio tracks. it comes with JKL playback. It comes with more that 50 image filters and more than 30 audio filters. Some available audio filters are Bandpass, Chorus, Declipper, Delayorama, Equalize – DJ 3-band, Multiband, Flanger – DJ, Frequency Shift – Bode/Moog, GSM Simulator, Highpass – Butterworth, Lowpass – Butterworth, Noise Gate, Rate Shifter, Signal Shifter, Vinyl Effect. 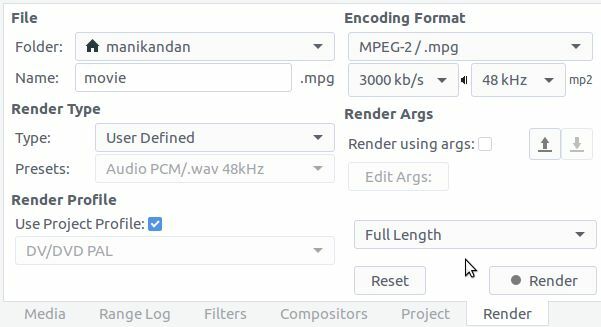 Flowblade offers a dedicated Batch Render Queue application that is a separate process and does not interfere with editing work.It supports most common video and audio formats and comes with number of preset render options.For the complete list of features click here. 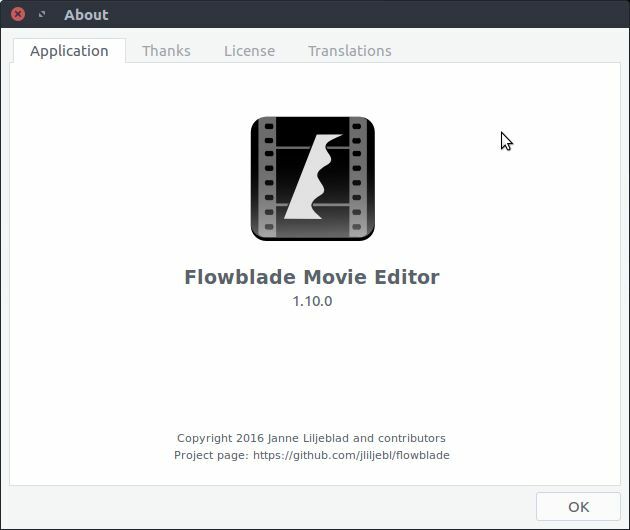 You can download Flowblade .deb file from here. The downloaded file size is around 6MB. just double click and install or right click and install with Ubuntu software center. 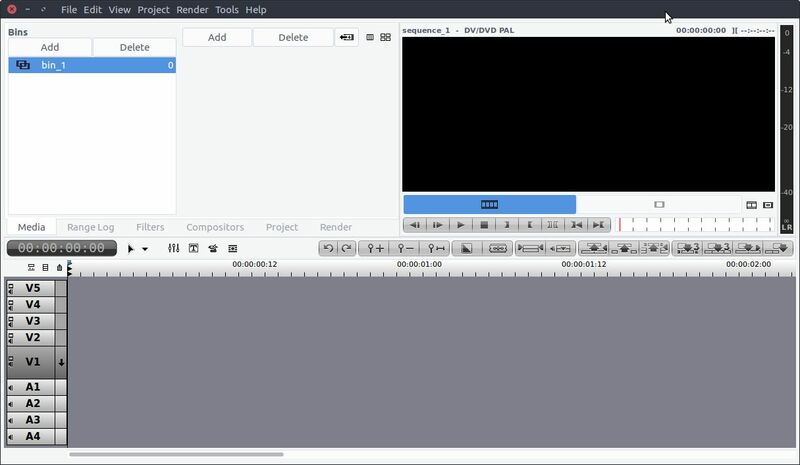 It is a simple video editor and made for casual users. You can also install it via ubuntu terminal app. Download the .deb file and copy the file to Downloads folder.